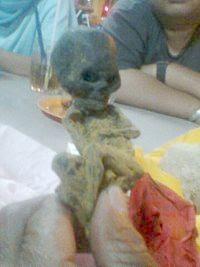 Anak Kerak or Anak Krok is almost the same as another child spirit of the Malay Folklore, Toyol such that it comes in the form of a foetus of a stillborn baby or a corpse of a baby. However, to create Anak Kerak, more specific details are to be noted. 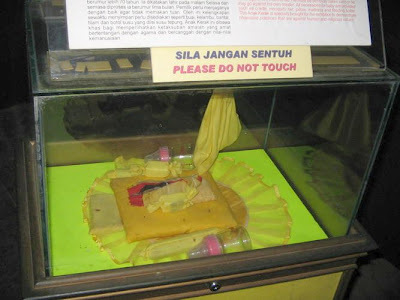 The most important criteria for creating Anak Kerak is the foetus must be taken out from the mother's womb on a Tuesday and died at the age of 6 to 7 months and must be taken from a first-born child of the first-born parents. 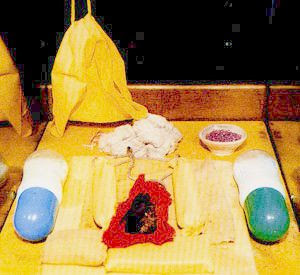 The corpes or the foetus is smoked to shrink and then invoked for several purposes such as for healing rituals and carrying out evil deeds like stealing. Knowledge of creating Anak Kerak is popular among the population of Pattani, Thailand. Because of that, people of the East Coast were prohibited to reveal the 1st born child to strangers. Keeping Anak Kerak has it's own risk. Keeper of Anak Kerak must has it well taken care of and attention paid to it, orelse Anak Kerak will destroy the master.